Ebenezer Child Care Centers, Inc. strengthens families by providing exceptional early care and education in safe, innovative and nurturing environments. 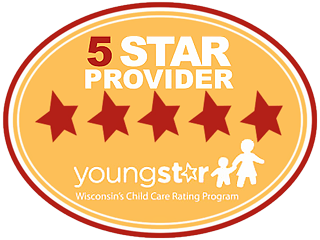 Communities throughout Wisconsin are healthier and stronger because of the standard we have set by empowering the children and families of Ebenezer Child Care Centers, Inc. to reach their fullest potential. All children need a safe, nurturing, diverse environment in absence of parents. In providing all parents with quality child care through our knowledge and expertise. In treating all staff and parents/guardians with dignity and respect. In adhering to state regulations to maintain integrity. In the integrated efforts of all staff & parents. In performing our business with excellence. In taking a leadership role in the child care field.